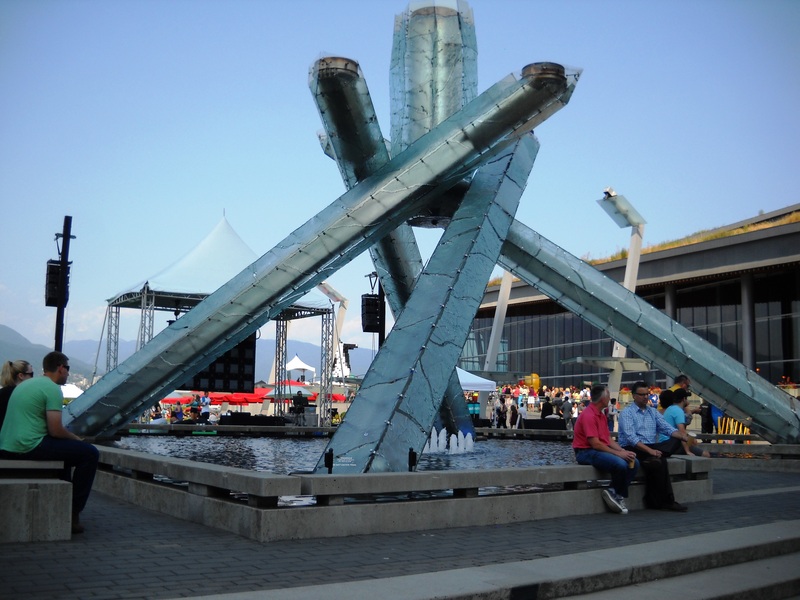 Last month’s “travelogue” post of Vancouver, a gem of a city in British Columbia, Canada, demonstrated in photos and captions just what an awesome, modern metropolis evolved from what was a logging outpost and the western terminal of the Canadian transcontinental railroad. 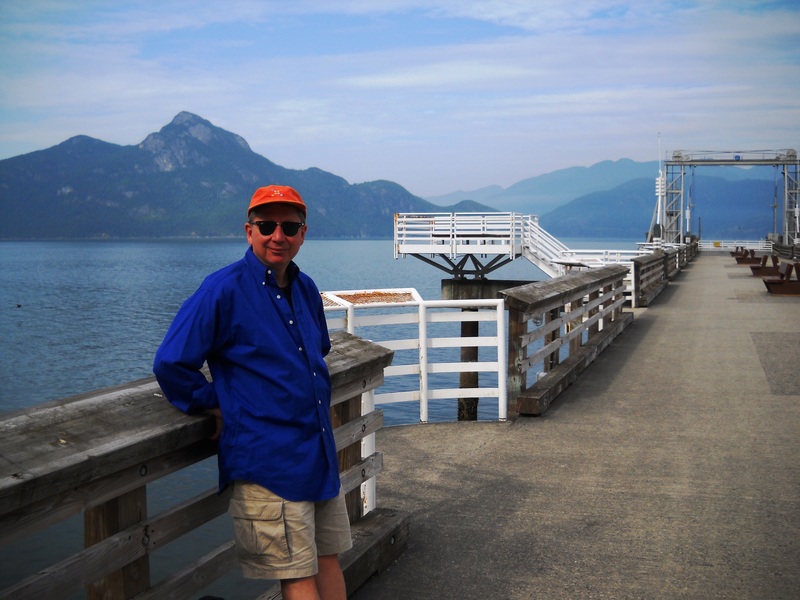 Here, I’ll share three short observations gained from our eight days exploring the city, its waterfront areas and neighborhoods. 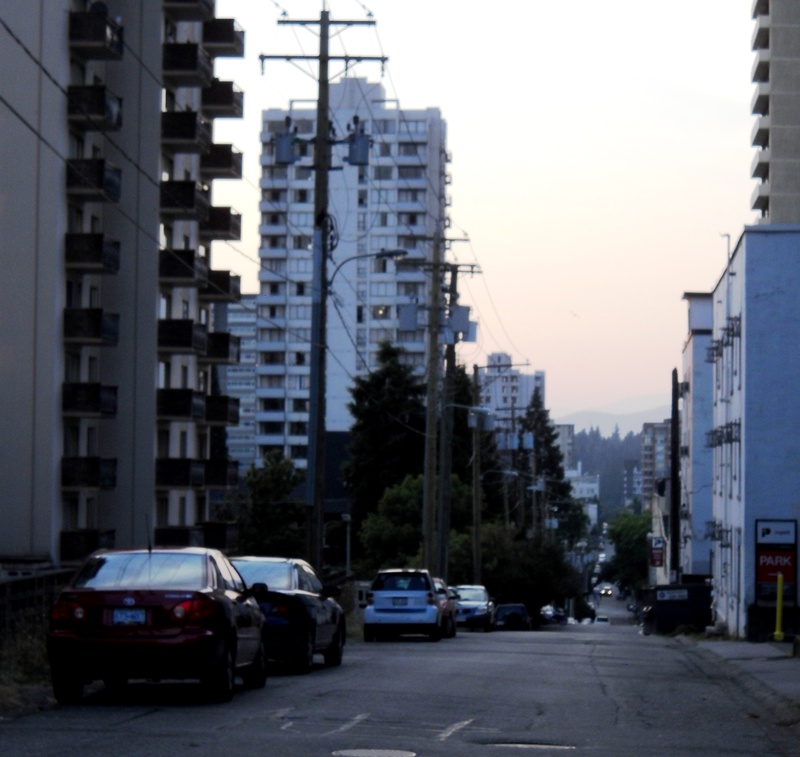 Vancouver even has alley ways — but with a view of mountains, of course. 1. Respect for the Environment. 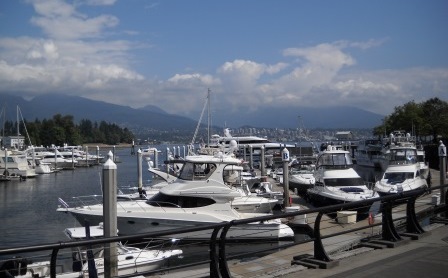 From just about every corner in Vancouver, one is treated to a view of something pleasurable. 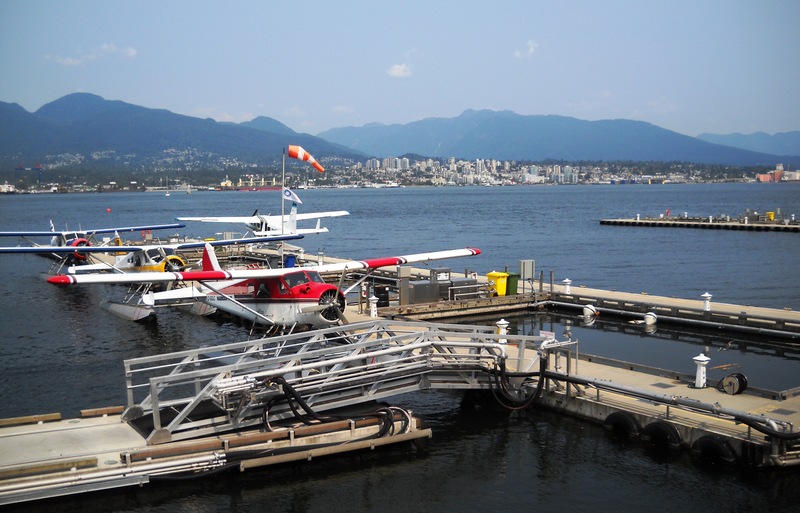 Whether it was the mountains to the north, the water along Burrard Inlet or False Creek or even the so-called “built environment” developed by man, we were enamored just looking around. 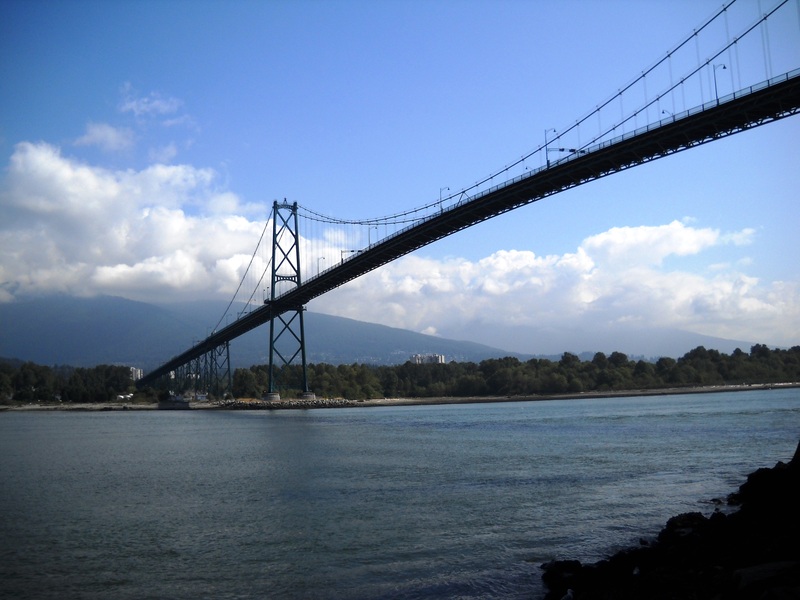 And, the forested masterpiece — Stanley Park — even maintained its grandeur with a the four-lane Causeway running through it. What’s more, people had great respect for their surroundings: We saw very little litter and very little graffiti. As for crime: We saw none, read about none or experienced none. 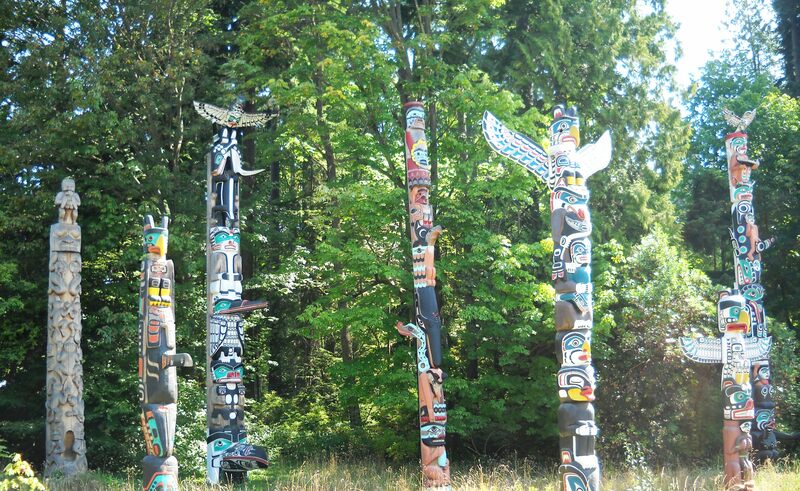 Some of the First Nation totems in Stanley Park. 2. Diversity Works. Yes, Vancouver has the obligatory Chinatown, but it’s adjacent to a kind of “skid row” and there’s not a lot to see. 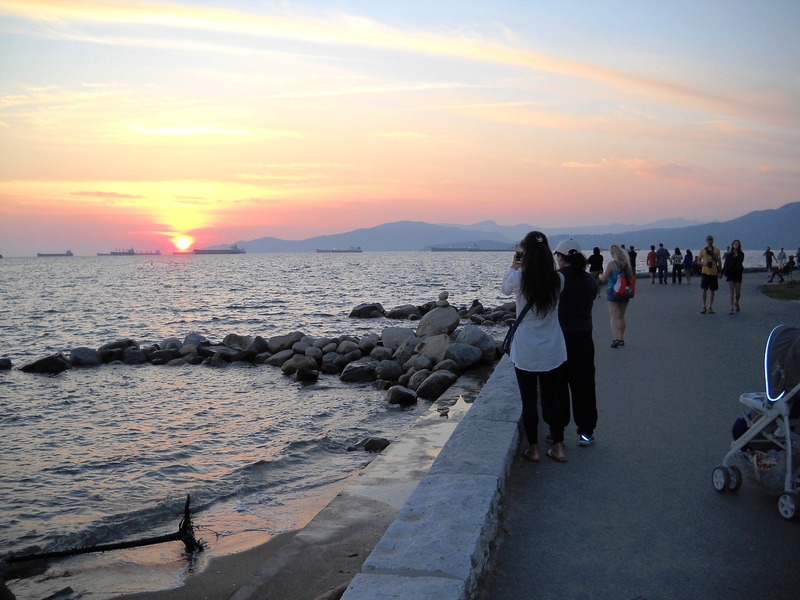 To get a flavor of just how diverse the city has become, visit, the neighborhoods like West End and Kitsilano. 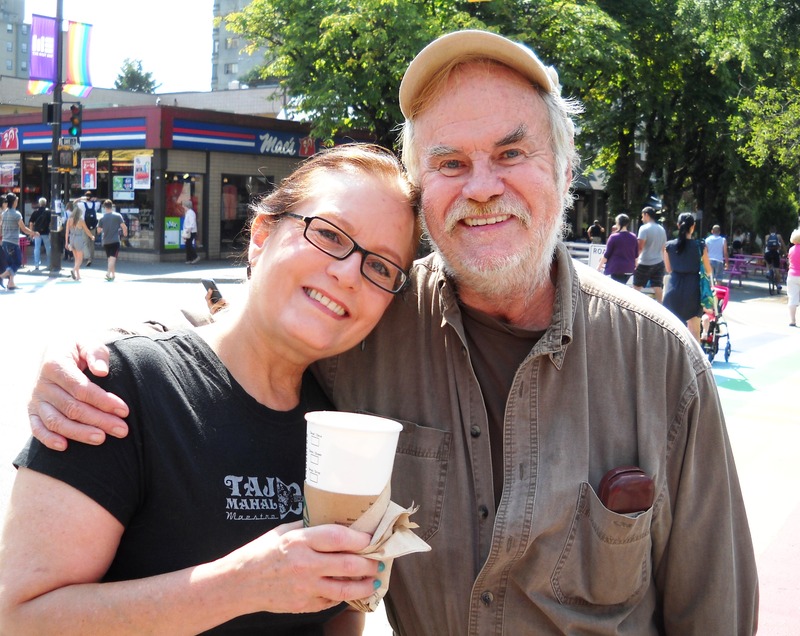 Everywhere we found people, businesses and restaurants of all kinds — all living and working in apparent harmony. Along Davie Street in the heart of the LGBT community, the crosswalk pavement markers at Bute Steet were in a rainbow pattern. And, Native Americans or descendants of the First Nation are remembered and respected. 3. What’s Left of Vancouver’s Architectural History? In researching Vancouver, I learned the city was destroyed by a fire in 1886, just a few years after fire destroyed much of my home city of Chicago. And, like the people of Chicago, the citizens of Vancouver rebuilt a new, better, more modern city. Our way cool modern apartment was at The Lions, a twin tower complex in Coal Harbour. 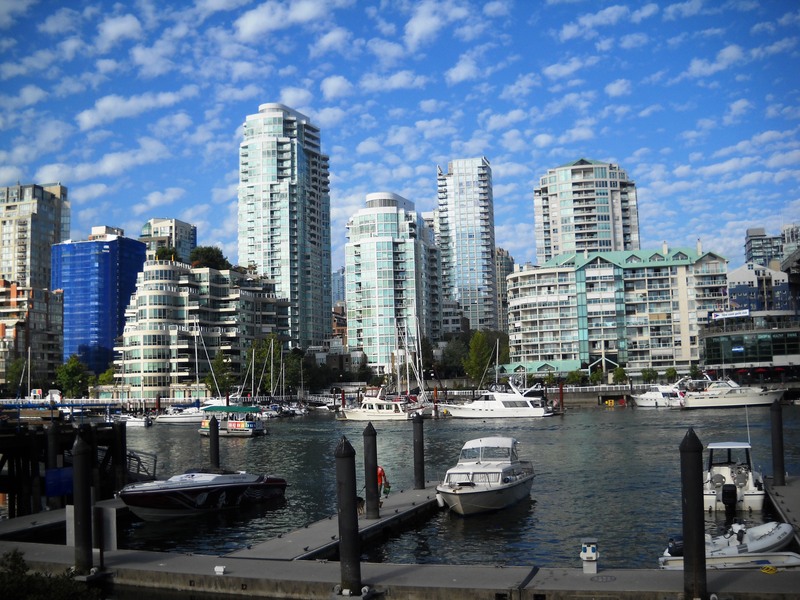 But strolling through the Coal Harbour and West End neighborhoods, there was little left of traditional neighborhoods of single family homes. 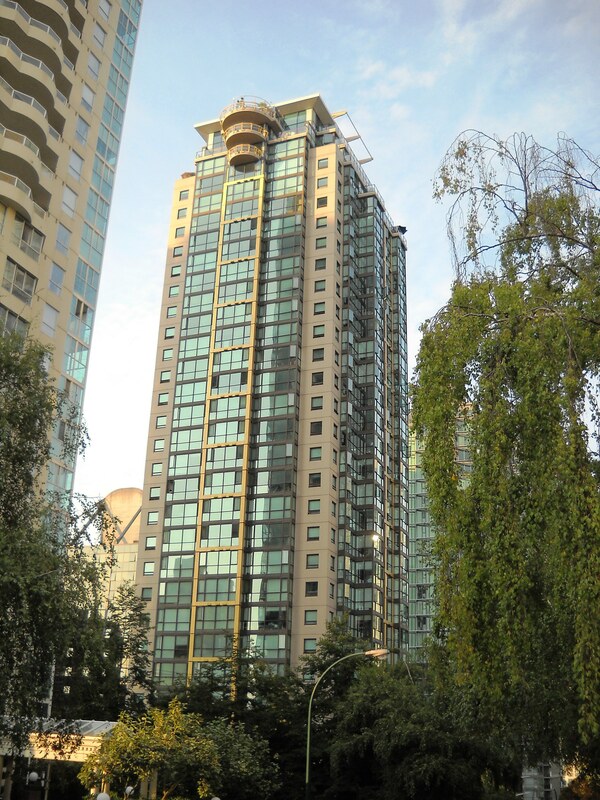 Our wonderful apartment, in a tower 30 stories tall, more than likely replaced several much more modern structures. This Facebook site — ” a lament for, and celebration of, the vanishing character homes in Vancouver” — even chronicles homes leveled to build more dense properties. 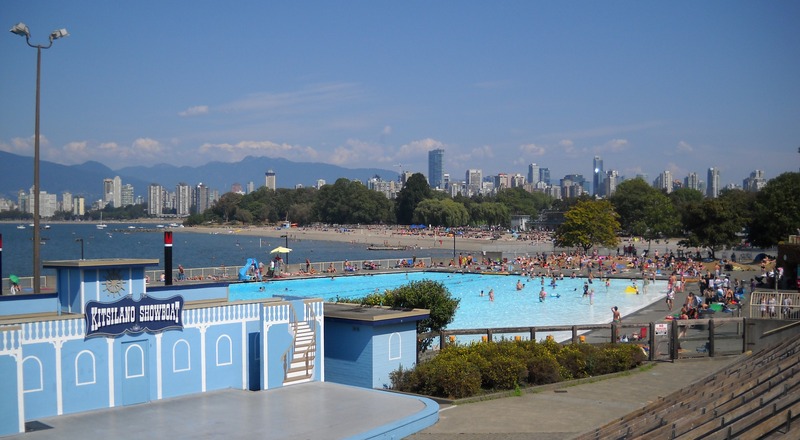 Perhaps the ideal weather — 80s by day with lots of sun — just added to our enjoyment of Vancouver. But we think the city would have made lasting memories even if it rained much of the time. The week after we returned to Chicago, it did.